We aim to provide quality and value to our customers through friendly caring and knowledgeable people. We aim to exceed our customer’s expectations at all times with service that our customers remember, talk about with others and continue to purchase again and again. The Lawn Mowgul, Inc. addresses all the elements needed for developing and maintaining a picture perfect lawn. Commercial customers are most commonly interested in a pre-set maintenance plan. Below is a sample of the maintenance plan most commonly chosen by our customers. The Lawn Mowgul, Inc. works with each customer to develop a Premium Maintenance Schedule tailored to the lawn needs of each commercial customer. One of your greatest assets may be in your own backyard. Creating an outdoor living area is one of the best improvements you can make to your home, increasing your property value significantly. Investing in your landscape gives you a beautiful outdoor living area to enjoy, helps your home sell more quickly, and boosts the sales price. 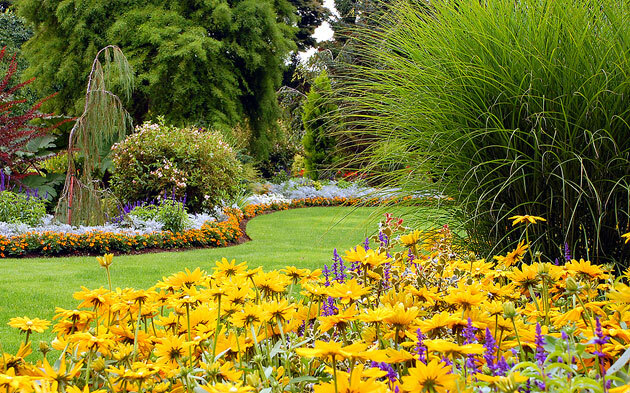 According to Smart Money magazine, investing in landscaping could add as much as 15% to the value of your home. The Lawn Mowgul continues to impress me with their professional and dependable service always going above and beyond which is why we remain loyal customers and recommend this service in every instance.